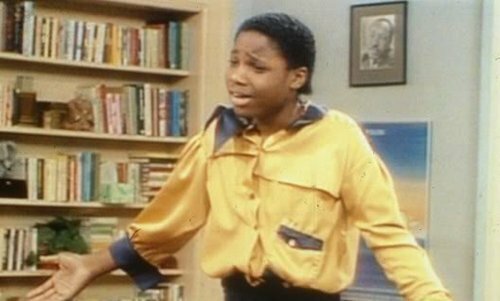 Remember Theo Huxtable's sleeve? The long one on the shirt Denise sewed for him that didn't in any way match the other sleeve? Well, my Featherweight has Theo sleeves. They just seem to go on and on and on. I've actually finished them and even though the gauge is consistent with what works perfectly for the top of the sweater, these sleeves seem to shrivel up and cling to themselves. I blocked one sleeve out to a nice normal gauge that matches the body, then I slid my arms into it and it grabbed me like a vice, stretching out in a static cling implosion. I continue on with the 3.5" inches of stockinette for the collar/ front bands. I'm trying not to think about how I know I'll have to undo each sleeve halfway and eliminate the extra decreases I added because I was extending them to full length. I try to focus and finish, but I find my mind wandering. Want to wander to nowhere meaningful with me? So many fascinating things have happened while these sleeves continue to grow (not really). I can at least read while knitting this, so I finished reading Red Mars. I wanted a break before the next book in the series, so I did something dumb. I bought a certain "sci-fi" book many knitters are raving about set in the Highlands. I hated it. Really hated it. I had never bought a trashy romance novel in my whole life. Now my record is spoiled. I kept waiting for whatever people were claiming was awesome to happen. It never did. Please don't be upset with me, fellow knitters, all of the color ways based on the book series are incredibly beautiful. In fact, that's probably why I got it. I did laugh out loud while reading it several times. That's something that almost never happens, but it wasn't supposed to be funny. I couldn't stop picturing Mick Hucknall as the lead, which completely negates the mood the author was trying for. It was all the "fiery red hair" comments, I guess. Have you seen Mick Hucknall lately? So I moved onto the Mistborn series. The first book, The Final Empire, was pretty good. I haven't read this type of book in a long time. I can't tell if this is meant for young adults or regular adults or what. It pretty much jumps right into action and there aren't long, dry descriptions of landscape or weighty monologues. But, it's not childish, unless you call a book without mature content and a few characters that aren't twisted childish. I don't, so maybe I've lost my modern, literary compass. So what if it uses the word "chuckled" too much? Am I so jaded by the Game of Thrones type story that I can no longer recognize a novel as good fantasy if it doesn't leave me feeling a little sick? Anyway, I liked the world the story takes place in and the abilities of the main characters. It felt like reading a real story about something. Can you tell this project is dragging out? There's also a new Doctor, right? I've watched every episode with him while still knitting on this sweater. I like Clara so much more than Amy. Boy, I sound catty with this post. It must be that I'm grouchy over my never-ending cardigan. I started The Returned on Netflix, too. Honestly, it's a downer and it's only a few episodes long, so I'm sure I'll finish it before finishing the sweater. Okay, I've gotta get back to that collar. Well, I'm gonna go there with you and say that I also purchased the aforementioned knitterly "sci-fi" novel set in the Highlands, and was duly unimpressed. I can't say I completely hated it, but I certainly didn't love it, and probably won't be reading on in the series. I will admit to watching the show in lieu of continued reading, but that's because it's pretty and everyone keeps wearing the wooliest shawls and mitts imaginable. I'm sending moral support your way for those sleeves! The colors look so great, it will be worth it in the end! And here I thought I was the ONLY knitter who knew nothing about that ah-hem "sci-fi" novel that everyone is all atwitter about. I sympathize with your sleeve situation ~ I hope you can figure it out soon as the cardigan looks lovely! I don't know what "sci-fi" novel set in the Highlands you're talking about exactly, but the description reminds me of a certain tv series that apparently started recently (if the unending commercials about it are anything to go by) that is apparently based off a book...hmm. Oh man, Michelle, I thought I was the ONLY ONE. Hahahha! I listened to Highlander as an audio book while at WORK, and I did the same. The laughing out loud, and the slight shock at the actual contents of the book. My my had recommended it, after all! So glad I'm not the only one. And congrats on your chicken (via Insta) again!! Chickens for allll!! At least you gave Outlander a try, LOL! It's appeal is definitely not universal but I love it personally (grew up reading what my high school friends & I used to call "trashy hysterical romances" so I have a high tolerance level for descriptions of fiery red hair). I hope that the sleeves get less burdensome. Love those colors. Thanks for the morale boost! It worked. I can say the Outlander tv show probably has a lot of added historical and battle scenes that might round things out. I'm sure the knitwear is great, too. Ha! I'm usually completely out of the loop on these things. (My brother says I don't start watching a show until it's been cancelled for two years.). I did rip back and reknit the sleeves so I'm satisfied with them. Thanks, Evelyn! Why have I waited so long to cook an entire bird?! That's one of the easiest recipes I've tried. Yeah, that book just wasn't for me. I was hesitant to post this because it's dear to a lot of people. It would be like having someone say they don't like Little Women or Firefly to me. I'd be astonished, but I'd get over it. And I got some really silly laughs out of it, so it's not a total loss. Well, you're in good company, Tien, because lots of people I know love it. I think the tv show will have even broader appeal. Thanks for the sleeve sympathy. It's all good now, sweater's finished and I can move on to worsted again.